Wolf says lead from the heart. 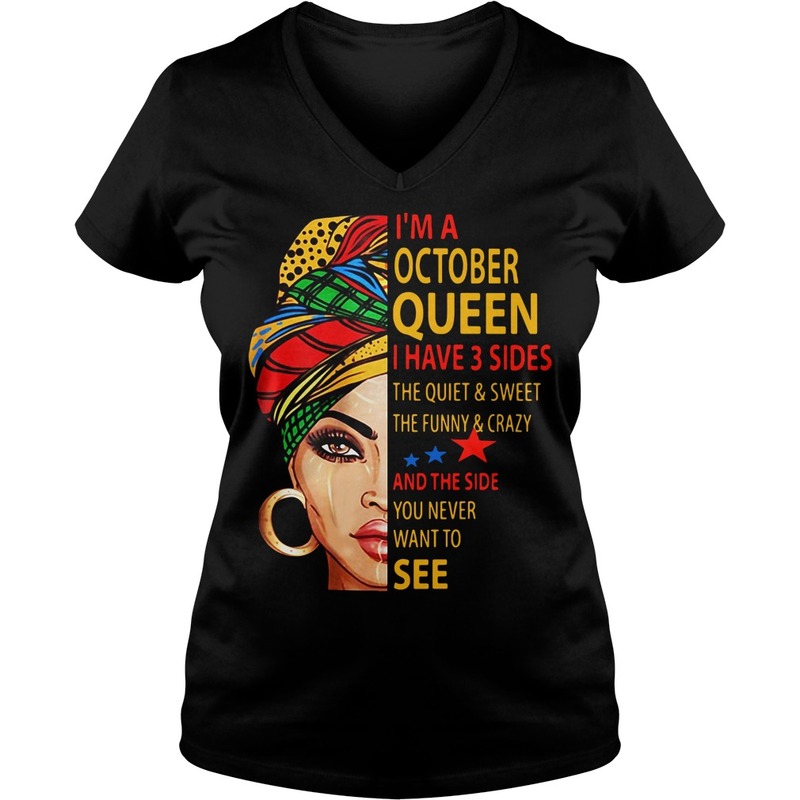 I’m a October queen I have 3 sides the quiet and sweet the funny and crazy and the side you never want to see shirt. Wolf says lead from the heart. 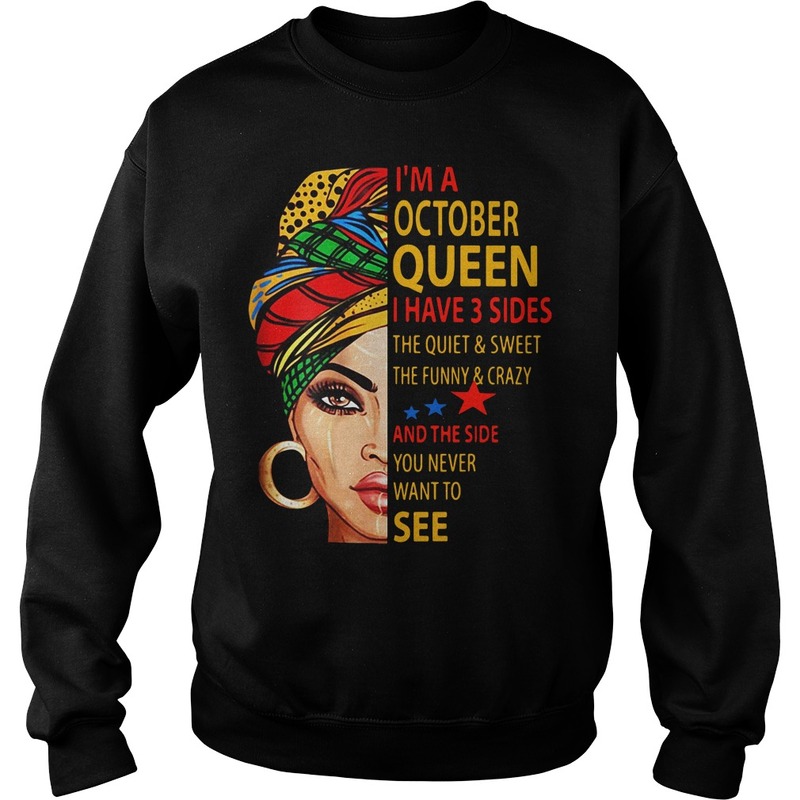 I’m a October queen I have 3 sides the quiet and sweet the funny and crazy and the side you never want to see shirt, so no one gets left behind. The leader is always in the back, watching all, the flanks and protecting the rear…pups protected in the middle. Wolf teaches us the instinct, partnership, community, protection, patience, calmness, alertness, leadership, and how to be a loving teacher. I’m still sad that I lost the necklace with Kaya’s ashes this last June. 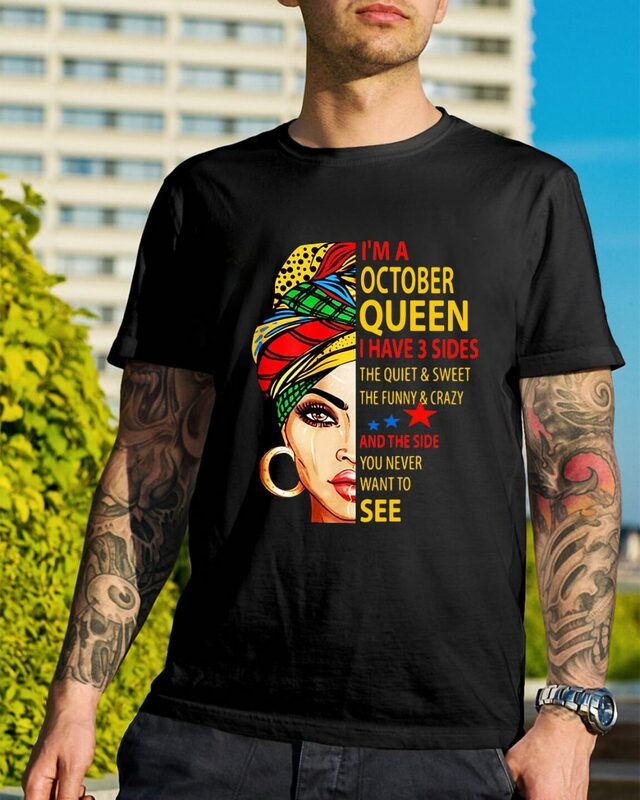 It was all I could carry of her. I hugged a brother and it got caught in his backpack buckle or a button and we were surprised the chain didn’t break only it had. When I filled the vial with teeny spoonfuls of ashes in a sacred way. 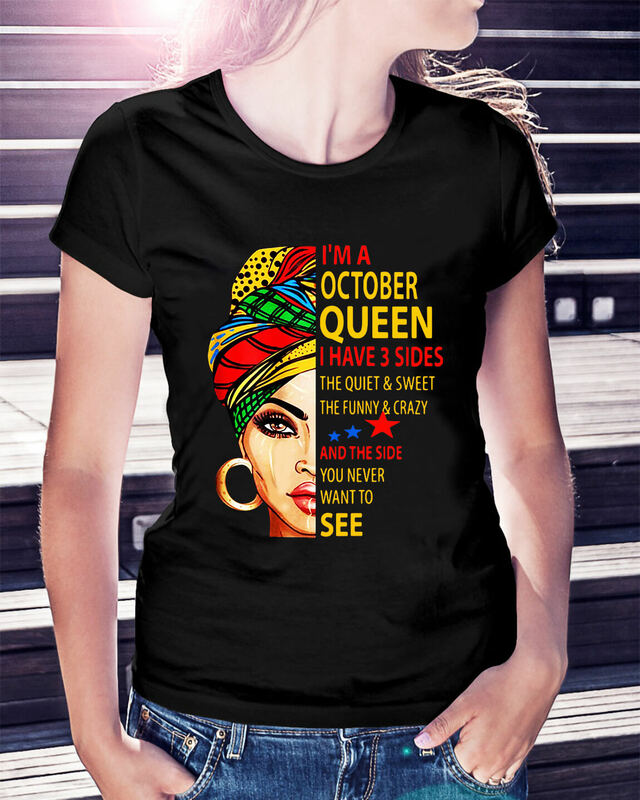 I held a part of Kaya that was her eyes so that I’m a October queen I have 3 sides the quiet and sweet the funny and crazy and the side you never want to see shirt. I always told that to people who asked, so they, too, could understand that nature has much to teach us and always has. I learned long ago to think of it as excitement, not fear. The same heart-thud as a first kiss, of a lover coming over, or when the rollercoaster bar clicks into place. The books are neatly packed on top of it. 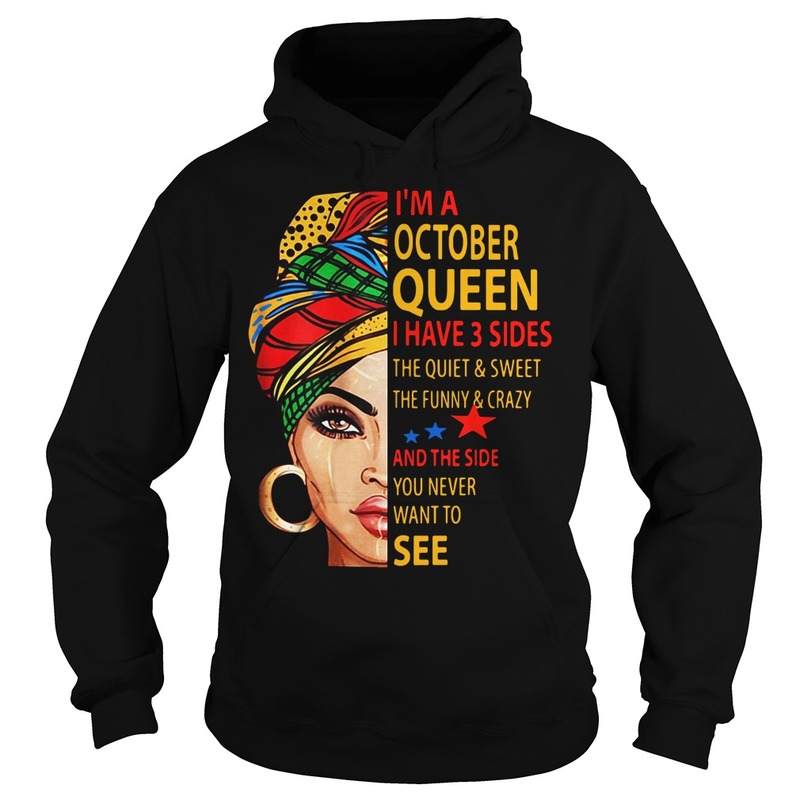 Am doing matric next year and I can’t say am excited about it, more pressure. Outside I can hear the people chatting happily.